Regina Simons spoke with Megyn Kelly on Megyn Kelly Today on Friday and revealed that Steven Seagal allegedly raped her in 1993. She said to TheWrap at the beginning of the month that Steven had assaulted her at a home in Beverly Hills when she was just 18-years-old. 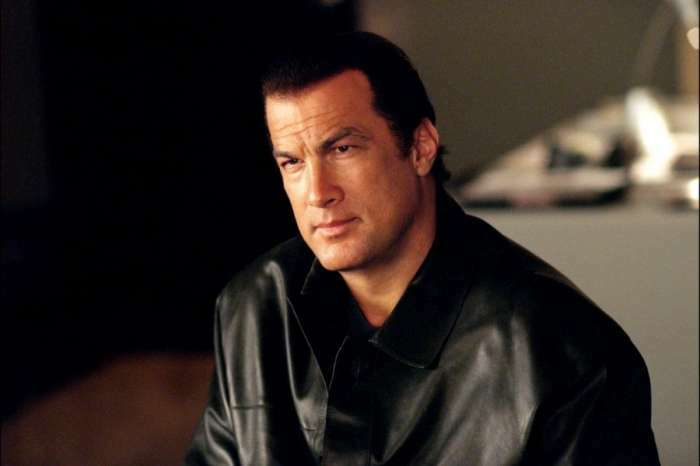 Seagal hasn’t responded to the claims yet. Reportedly, she had been invited to a wrap party for his film, On Deadly Ground, where she worked as an extra, but when she arrived it was just Steven there. Simons claimed when she arrived, she asked why no one else was there and he said he would “show her something” and led her into a bedroom which was where he got on top of her after forcefully taking off her clothes. Simons said, “before (she) knew it,” Segal was on top of her and Simons “couldn’t move” as she “completely froze” and felt like she had left her body. According to Regina, it was clear she was crying, but Seagal didn’t even seem to notice. At the time, Steven was married to Kelly LeBrock, who he has since divorced. While at Seagal’s house, Regina claims to have seen a picture of Kelly on the nightstand. The actress alleged that she stared at the picture while wishing she had never gone to his house, waiting for it to be over. As you may know, Steven has faced over a dozen allegations of sexual misconduct since the #MeToo movement which picked up steam shortly after the case of Harvey Weinstein broke into the mainstream news circuit. Since then, a plethora of women have spoken out against men in influential positions including in Hollywood, broadcasting, journalism, and the restaurant industry. Actresses chose to wear black at the Golden Globes ceremony as a testament to their solidarity.